Samsung, on August 9, will announce its best phone of 2018 i.e.., the Galaxy Note 9. Just like last year, there aren’t going to be any significant changes in the design or the specifications. 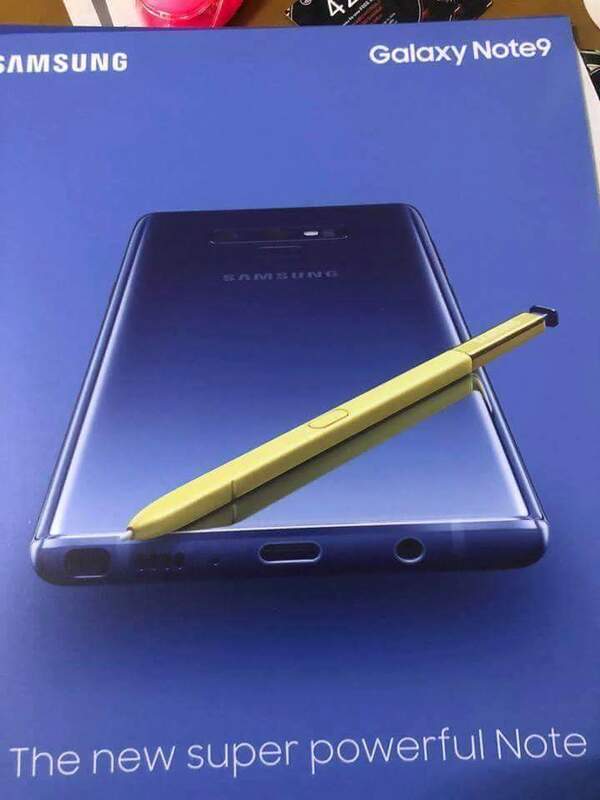 In fact, a recently leaked render of the Note 9 showed the front of the phone, and there is hardly any difference when compared with the Note 8 from the front. Today, a poster of the Samsung Galaxy Note 9 showed up online that revealed the design from the rear and once again confirmed the design shown in the CAD renders by OnLeaks. The poster shows the Purple Galaxy Note 9 in the Purple color, and we can see that Samsung has no plans to ditch any port at the moment. We have 3.5mm headphone jack and the USB Type-C port placed on the bottom along with the speaker grill, primary mic and the slot for S-Pen. The S-Pen will be the most advanced stylus that Samsung has made so far, and some reports claim that there are features like Bluetooth for additional functionality. Talking about the design of the phone, the Samsung Galaxy Note 9 has a similar horizontal dual camera setup on the rear like the one on Note 8, but this time, the fingerprint scanner is placed below the camera module. This is something that a lot of Note fans will like since not everyone liked the placement of the fingerprint scanner on the last year’s Note 8. So, that’s all revealed by this new leak. The Samsung Galaxy Note 9 is launching at the Unpacked event on August, so we still have a lot of time to know more about the phone.